We know that there are several storage New York Bronx companies for customers to choose from, but Moishe’s Self Storage offers NYC residents some of the highest quality self storage units at the lowest prices. With a wide variety of storage unit packages, you are sure to find a storage space that works for your unique needs and time line! Moishe’s Self Storage offers both short and long-term self storage. 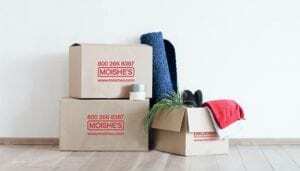 Whether you are in need of a temporary storage space to house your personal belongings over the weekend, or you are in the market for a long-term solution to your storage woes, Moieshe’s Self Storage is the right company for you. In fact, the average Moishe’s customer chooses to utilize our services for four years, which speaks to our excellent customer service. For those of you who are interested in short-term options, we can’t guarantee that you won’t get hooked on our excellent service and top-of-the-line quality. Moishe’s Self Storage is here to help individuals, families and companies find affordable storage solutions to their space limitations. NYC is one of the most space-starved cities in the United States. There is nothing more stifling to a growing business than finding your company limited by your commercial space. Rent a clean, secure and even climate-controlled storage unit if you’d like from Moishe’s today to maximize your office’s efficiency and functionality. However, you don’t need to run a business to have your space be more functional. Moishe’s 5 X 5 foot storage units are perfect to house some of that apartment clutter you have always wanted to get rid of, but not throw away. Pack up your seasonal clothes, holiday decorations, or outdoor activity equipment and start using your apartment space to its full potential. Contact Moishe’s to learn why we provide some of the most high quality and affordable storage New York Bronx can offer.